Lightworkers are the special beings that exist on Earth, but also, they are above the 3-d reality. They represent the power of the universe and the power of positivity on Earth. We mentioned Lightworkers in many of our articles. In this one, we will talk aout the 12 types of lightworkers that exist. These are the lightworkerks who keep Gaia safe. They create the human grid that forges an invisible bond of connection between the hearts of all awakened spirits. 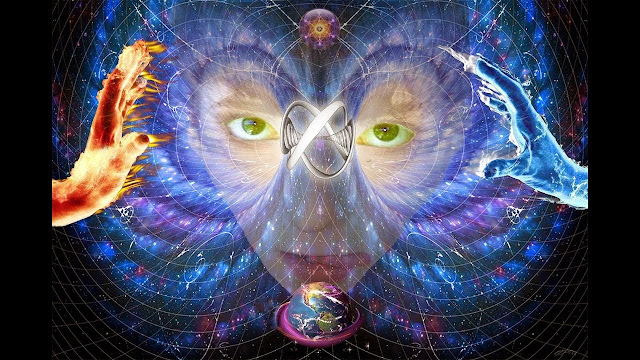 All of the people with enlightened consciousness connect trough the sacred bonds of the Gatekeepers.Gatekeeping is a more advanced form of Gridwork in which Lightworkers work with a team to open interdimensional gates that allow higher levels of light and love to flow in. While Gridworkers bring light through already opened spiritual doorways on Gaia Gatekeepers open doorways where there weren’t any before, or even ones that were closed due to stagnation. Their sacred mission is to embody the light. They are extremely focused and no circumstances will stop their holy work. They spread high-frequency vibrations and they are supposed to be the ‘fields’ of positivity in the whole darkness and apathy that spread all around the world. They represent hope and strenght, they are support of all humans and they will fight among all of us for justice, progress and peace. Transmuters are literally the ‘warriors of light’. Transmuters fight darkness and negativity by absorbing it and releasing their light and positivity. They might also transmute along their ancestral lines. They may have chosen to be born into an ancestral line that has plenty of negative karma. They serve to release, dissolve, heal, and help their entire ancestral line’s vibration to level up. Healers are probably the most useful lightworkers, especially for humans. They help everything- humanity, Earth, animals, plants etc. They are able to heal your emotional disbalance, they can also heal physical pain and help with spiritual guidance. Many empaths are unrealized healers who still need to discover their special abilities. These Lightworkers have opened the third eye or psychic sight making them able to see beyond the physical and the veil of illusion. Their gifts include providing readings or services to inspire, empower, and guide others to their truth and the truth of the world. They may also focus on areas where their energy is much needed for healing, transmutation, or release. It’s here where their light, power, and presence make a big difference. These people are usually the ones who reveal the truth behind the shadows. Most of them are really good psychiatrists who are labeled as parapsychologists (think of Carl Jung), truth activists and even professional psychics. Everyone has a divine blueprint, which is a template to a fully awakened self. All Lightworkers have this template, but the Divine Blueprint Holders are the most active in tuning into it and retrieving the codes of awakening. They are best at translating these codes so everyone can understand them and use them to raise the levels of their consciousness. The Divine Blueprint Holders use sacred geometry and other sacred forms of communication through their work. They can be literally in any field and area of life but it’s the way the create and do things that matters. That’s how they subconsciously communicate The Divine Blueprint. The Dreamers serve their gift by dreaming, interdimensional travel, and going into the dream space which allows them to access alternate dimensions of experience. The Dreamers are usually people who are called psychonauts. They use certain rituals or supplements to embark on psychedelic trips and access realms and ideas that would later inspire and uplift the human spirit. If it weren’t for The Dreamers there wouldn’t be 90% of the art, technology and inventions we have in the world today. Messengers are those who receive important guidance and messages from divine beings like Angels, Galagtics, Ascended Masters etc.They share these messages through videos, blogging, teaching, or writing. Whatever media or platform, Messengers serve humanity through the awakening process by sharing powerful spiritual insight and information. They are explaining to people what’s happening to them making them better understand this journey of evolution through the guidance they receive from the Spirit. These Lightworkers are involved in weaving light to manifest changes on the earth, which could come in the form of intending and manifesting timelines, manifesting positive events or creating the template for greater love, greater light and harmonious co-creation. They do this through various ways like meditation and visualization accompanied with self inspection. They are the ascending Lightworkers. They step into greater levels of light and share what they learn about the ascension process. These people step into the edge of enlightenment and push even further by questioning and embodying higher levels of light. Most of their teachings are aimed at the spiritual masters so they can push even further the spiritual evolution of humanity. These are people who make their thoughts and dreams come true. They live on the postive energy, they boost on high frequency vibrations and their auras are always bright. They have no idea that they serve humanity, but often, they represent a true inspiration for many people. ll that The Wayshowers do is live in resonance with their truth and the teachings other Lightworkers share with the world. The Unifiers have the special ability to connect people. All Lightworkers are able to see the bonds between people, but the Unifiers have a special insight. They are always able to find a perfect pattern to merge two souls, consciously or subconsciously. Unifiers are, also, very good teachers and spiritual guides. They make perfect leaders and know how to unite humans and show them the bright side of their existence.